Showing results for tags 'Jerry Goldsmith'. Some news on the film concert front! 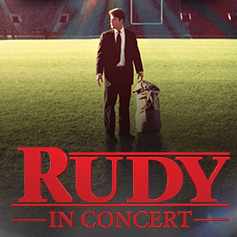 A little later this month, Rudy in Concert is coming to Los Angeles for the first time - March 30 at the Microsoft Theater. It's produced by the same company that presents the Harry Potter Film Concert Series, and this will be the same format - the full film projected in HD with a live orchestra performing the score in tandem. Should be a really awesome show, with such an epic score by Jerry Goldsmith. Ru-dy! Ru-dy! Ru-dy! Also, there will be a pre-show panel with the "real" Rudy (Rudy Ruettiger), star Sean Astin, and the film's director and writer. Tickets are still available here, if anyone's interested! https://www.rudyinconcert.com/ Alternatively, if you enter before this Tuesday (3/19), there's a contest where you can submit a photo for a chance to win tickets: https://www.rudyinconcert.com/contest Hope everyone's having a great week! The intention of this thread is the exchange of information about synthesizer, the creation of sounds and the electronic modification of synthetic or organic sounds. Whether you wanna recommend or ask for a great synthesizer model... Whether you wanna explain or ask for the creation of a specific synth sound... That's all up to you. My first question is: Does anyone know about any criteria that are helpful to recreate... the "wind synth" from The Philosopher's Stone, the "drop synth" from The Mummy, and the "pyro synth" (or "synth fart") from Rambo: First Blood Part II? Which Jerry Goldsmith auto-pilot action score is the best? I've been wondering what you think of Jerry's auto-pilot action scores and which one you can recommend. "Executive Decision", "Chain Reaction", "Air Force One" and "U.S. Marshals" are sometimes called the "Big Four". Is it worth having them all? Is it worth buying the deluxe editions? Do the remaining scores require a deluxe treatment? Are there further scores you would consider to belong to the "Jerry Goldsmith auto-pilot action scores"-series? Discuss and recommend! My preference is clear: Herrmann. Important Jerry Goldsmith sci-fi action score from 1977 gets royal treatment! Jack Smight directs Jan-Michael Vincent, George Peppard, Paul Winfield, Dominique Sanda in expensive 20th Century Fox filming of Roger Zelazny post-nuclear holocaust thriller with gigantic scorpions, killer cockroaches and violent weather conditions rendering the planet barren and treacherous. Enter a half dozen survivors, two massive “Landmaster” vehicles and the extraordinary adventure begins! Highly troubled production happened alongside development of “smaller” Fox picture humbly known as Star Wars. The rest is history. Goldsmith saw inspiration in imaginative (if not entirely successful) special effects, creating incredibly ferocious action score for large 90-piece orchestra with extra brass and woodwinds (violins intentionally taceting) plus complex array of electronics. Unique, dry and often brazen sound results in cues that are aggressive, intense, powerful! Trademark rhythms abound, especially in dynamic low brass figures. The late 70’s saw Goldsmith in his most fertile period with one masterful score after another: The Omen, Capricorn One, Islands In The Stream, Logan’s Run, The Cassandra Crossing, The Boys From Brazil, Alien, Star Trek-The Motion Picture, others. Damnation Alley has previously seen only compromised selections released on album due to missing electronic elements, damaged orchestral masters. Elusive music becomes a legendary “holy grail” for many. Enter dream of Roger Feigelson with Douglass Fake in tow and Intrada rights this musical wrong. Under guidance of Producer Nick Redman and Fox team, search deep into vaults unearths complete multi-channel orchestral session masters. Co-producer Mike Matessino next performs restoration and stunning new stereo mix of entire orchestral score. Locating Goldsmith’s printed sketches and score follows, allowing commissioning of synthesizer wizard Leigh Phillips to accurately re-perform vintage electronic parts. Combined efforts of many results in Goldsmith’s relatively brief but unquestionably powerful, knockout action masterpiece to see complete release on CD with stunning stereo audio at long last! What’s more, several previously unreleased cues now appear, including dynamic action-infused “Signals”, “The Wrong Order”, plus resounding “Refueling Stop” with triumphant full brass offering ringing fortissimo respite from the gritty action. Terrific highlight: never-before-heard action cue, “The Voyage Begins (Alternate)”, scored for early scene dropped from finished production offers exciting, jagged brass rhythms unique to this deleted sequence. Other highlights in this score abound as well: Wild tour-de-force action cue “Don’t Bug Me” is surely one of the maestro’s most genuinely fierce and frenzied compositions of all time and warm trumpet solo-led closing theme in optimistic major key (tracked into film twice at end) is surely one of his richest! Stylish booklet essay by Julie Kirgo plus colorful “flipper-style” booklet design by Kay Marshall compliment Goldsmith’s work. Recorded in January/February 1977 at 20th Century Fox Scoring Stage. Arthur Morton orchestrates, Lionel Newman conducts. Intrada Special Collection CD available while quantities and interest remain! I think this just needs a seperate thread. Fans on FSM are literally freaking out about this. I have never heard a single note of this before, but Intrada basically released half of the score as samples! I have to admit this is one of few scores that needed less than 5 minutes to make me fall in love with it! Just one word comes to mind: creativity! I dare say this score epitomizes the infinite creativity Goldsmith had during the time of the late 70s and early 80s! I will definitely get this one! Thanks Intrada! And it seems to be one of the scores that have so little running time that, when the music set in in the movie, it was very noticable and like a punch in your face. A score very economically used to have the most powerful effect, like Patton or Papillon. Anyone knowing the score better than me? What else is there to say about it? Hello Guys, SO I am working on something and would love to know what gear Jerry Goldsmith used in the later 90s. More specifically around (1998) Small Soldiers and the (1999) The Mummy. Anybody have any ideas? Thanks! THE RUSSIA HOUSE Expanded Original MGM Motion Picture Soundtrack Music Composed and Conducted by Jerry Goldsmith Reissue Produced and Mastered by Mike Matessino Liner notes by Dirk Wickenden Limited edition of 1000 units Quartet Records, Universal Music Group and Metro-Goldwyn-Mayer present the remastered, expanded edition of Jerry Goldsmith’s romantic noir score for the spy-drama THE RUSSIA HOUSE, a 1990 adaptation of a John Le Carré novel directed by Fred Schepisi, and starring Sean Connery, Michelle Pfeifer, Roy Schneider, James Fox and Klaus Maria Brandauer. First of the collaborations between Goldsmith and Schepisi (they would continue working together on several films, giving Goldsmith the opportunity to write some of the most unusual—and controversial—scores of his final period), THE RUSSIA HOUSE was composed just after TOTAL RECALL, but is a radically different score. It’s one of the most intimate, melodic and special scores composed by Goldsmith in the nineties, and one of the composer’s personal favorites as well. MCA released a generous 61-minute CD in 1990, including most of the score, but missing some key suspense cues. We now present the complete score with more than 15 minutes of unreleased music. This edition has been produced by Mike Matessino, with tracks prepared by Neil S. Bulk and mastered by Matessino from the original mixes by Bruce Botnick. The package includes a 16-page full color booklet with Dirk Wickenden providing in-depth liner notes and musical analysis of this masterful Goldsmith score. Another great release which deserves its own thread! While I think I could have lived without it, this release is really thrilling and I think Quartet is doing extremely well. 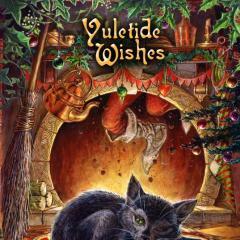 It's a shame this is another expansion that has to be limited to just 1000 copies! The unreleased cues are surprisingly not just repeatitions of the known themes, but interesting variations of them and one or two highlights will be revealed on this release! What everyone is wondering about now is where are the 15 unreleased minutes coming from? One can assume that besides one alternate we have a huge amount of unused stuff, never heard before! New Jerry Goldsmith Projects in 2017? This thread is supposed to gather information and hints of upcoming Jerry Goldsmith Titles in 2017. Unlike Williams predictable releases this year, I really don't know what to expect from the Goldsmith corner - do you? 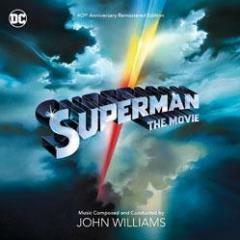 Favorite Jerry Goldsmith score and why? I am just curious to see which scores are you favorite of Jerry's. Mine is a tie between Small Soldiers and Poltergeist because of the way they are written and how I enjoyed them growing up. Link (1986) Jerry Goldsmith is the Intrada Version Complete? Which Gremlins score is better? Haha so apparently my last Poll didn't have enough choices so let's limit it some Explain which is your favorite of the two below! I pick Gremlins 2 because it is more of a live feeling to me compared to all the synths in the first! http://store.intrada.com/s.nl/it.A/id.10541/.f?sc=13&category=22848 Sadly the newly unearthed end credits is from a terrible tape dub but is an 80's heroic gem if there ever was one. INTERVIEW: Neil S. Bulk Recall's Film Music Wholesale! Hey all, I'm doing an assignment for my uni course and thought the knowledgeable members of JWFan could help with this particular detail. I'm analyzing a sequence from the film, the Chest-burster scene and the funeral of John Hurt's character, Kane. The funeral scene is underscored with one of my all-time favourite cues: 'Nothing to Say'. Anyhow, the assignment requires that I analyse the use of music for the scene and this is where I became stuck, particularly because of my terrible apprehension of the difference between instruments. Does anyone here know of the instrumentation and orchestration of this cue and in particular the statement of the main theme? Take your stinking paws off me, you damned dirty ape! http://www.southbankcentre.co.uk/whatson/planet-of-the-apes-live-92567?dt=2015-08-28 28th August 2015, Royal Festival Hall, London. Robert Ziegler conducts the BBC Concert Orchestra. Bring your own mixing bowls and ram's horns.